Cheltenham Festivals is a leading cultural organisation and charity with around 36 days of festivals of Literature, Jazz, Music and Science as year-round educational and community projects. The role of Customer Service Box Office Staff is to provide a high standard of customer service in selling tickets face to face, by telephone and online, in order to achieve the optimum sales of tickets and any other services that are provided. The Box Office team is responsible for welcoming, assisting and selling tickets to all visitors to the Cheltenham Festivals. When not on the Festival Site and outside of Festival dates, this role requires you to respond to customers on the phone, and via email in a discreet and professional manner. 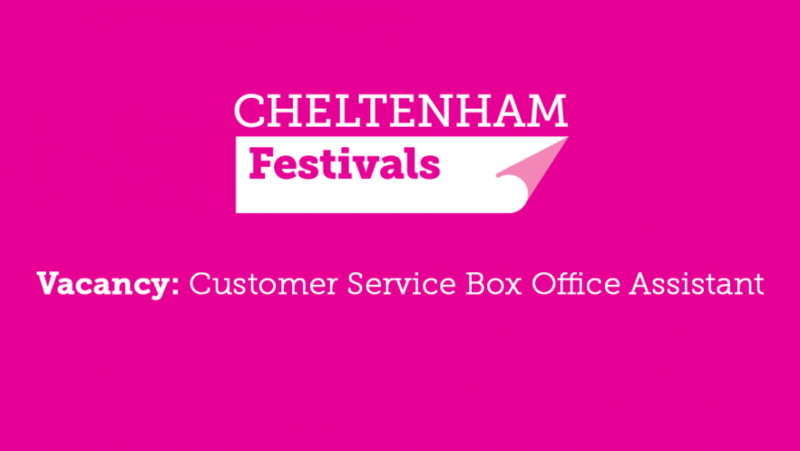 As a Box Office team member, you will divide your time between the head office of Cheltenham Festivals on the Bath Road, pop up box offices around Cheltenham, remote and main box offices at each of the Festivals. You need to be able to commit to working hours within the Box Office staff rota during the festival periods, as these are key dates in our calendar.